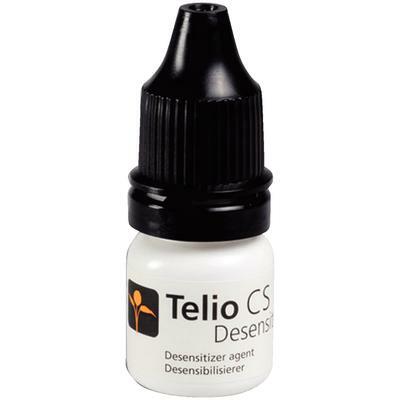 Telio CS Desensitizer is a clear desensitizing solution for reducing or preventing dentinal hypersensitivity. Telio® CS Desensitizer can be used during temporary procedures as well as prior to placement of the permanent restoration. Indications include temporary restorations, cementation of indirect restorations, direct restorative treatment and treatment of sensitive tooth necks.